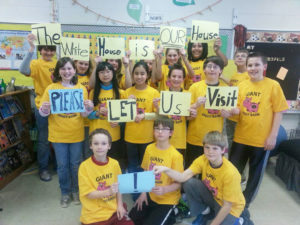 Fifteen students in the sixth grade class at St. Paul’s Lutheran School (ELCA) in Waverly, Iowa, headed to Washington, D.C. on March 15. It didn’t turn out quite as planned, but the disappointment of a cancelled visit to the most famous house in the country taught the students how government works — and sometimes doesn’t. The school staff and parents spent two years planning the adventure. Conceived of as a key element in a “capstone project” for students soon to graduate from St. Paul’s School, the journey was intended to help young scholars learn about their government, better understand the meaning of citizenship, underscore the importance of vocation, and help them grow as persons of faith. The students, along with their teacher, Lynn Brown, and school principal Christi Lines, visited the U.S. Capitol building, the front steps of the Supreme Court building, the Smithsonian Institution, the National Zoo, Arlington National Cemetery, and George Washington’s Virginia home at Mount Vernon. Conspicuously absent from the itinerary was the White House, also known as “The People’s House.” Getting a tour of the President’s mansion is always chancy. Timing is everything. (Allow too little time to secure gate passes and you can’t get in.) The sixth graders did everything right — and, almost at the last minute, secured the needed entry credentials. But then the sequester kicked in. The now-familiar governmental scheme to cut federal spending went into effect just before the sixth graders left for the nation’s capital. While most cuts haven’t yet taken effect, the White House made an early decision to cancel all tours. That meant the kids from Waverly were out of luck. The now-familiar governmental scheme to cut federal spending went into effect just before the sixth graders left for the nation’s capital. Thalacker and the students spoke with ABC using the Skype messaging system. A YouTube version of the interview went viral on the Internet. Soon news media all over the country were talking about the plight of the sixth graders. 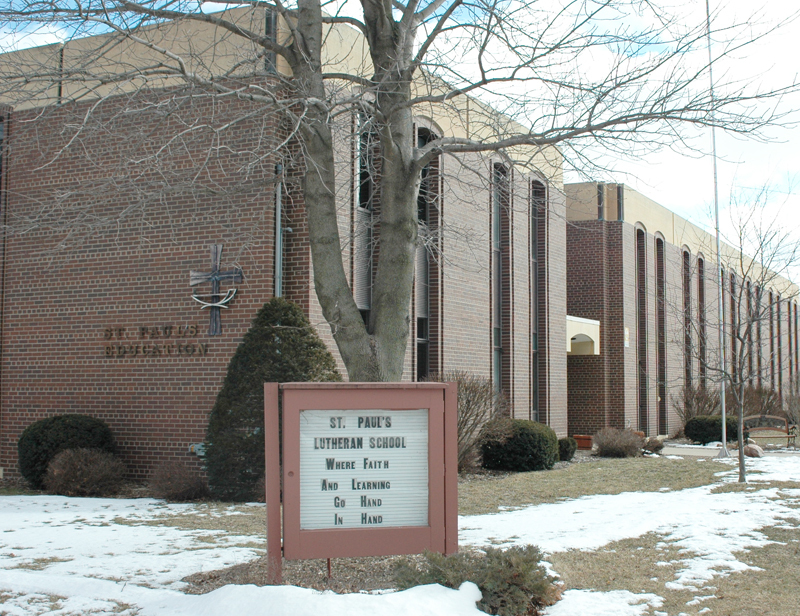 It didn’t get their White House tour reinstated, but it created an enormous amount of publicity for the Lutheran college town — and, especially, for St. Paul’s Lutheran School. An Associated Press (AP) story about the disappointed Waverly sixth graders appeared in newspapers across the country, including as far away as suburban Los Angeles. Thalacker’s photo was included. The students had a rich travel experience, even without a visit to the White House. When they returned, the congregation got a full report. Part of their capstone project involved interviewing senior citizens in the congregation, asking them how faith has shaped their life journeys. A video showing those interviews, along with recollections of the visit to the nation’s capital, will be featured in a presentation at St. Paul’s Church on Sunday, April 14.